The UAE Dirham is the currency of the United Arab Emirates since 1973, replacing the Qatar and Dubai Riyal at par. ‘Dirham’ is the Arabic version of the Ancient Greek word ‘dragma’, meaning ‘handful’. The Dirham is divided into 10 dinars, or 1000 fils. 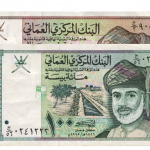 We exchange both current and withdrawn UAE Dirham banknotes. Our online exchange service is quick, easy, secure and free of charge.